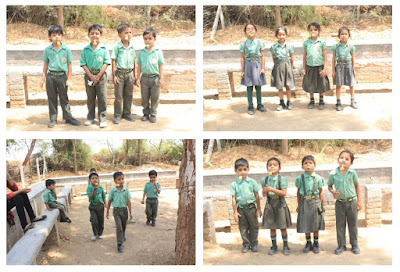 School is experiencing hot, bright and sunny weather. Even the mornings and evenings are very hot. Temperature during the evenings and mornings is at 36°C. Every week temperature is shooting up by 2°C. Scorching sun has taken the life out of everybody. Days are longer, hotter, while nights are shorter but not so cool as Rajasthan would experience. Highest temperature recorded was 43°C and lowest at 27°C. Humidity was at 23% and the wind blew at 11 km/hr. And make the school very proud. Global warming is the increase in earth's temperature due to greenhouse gases mostly carbon dioxide and per fluorocarbons that are released by fossil burning and deforestation. This excess carbon dioxide retains heat and causes increase in earth's temperature. Per fluorocarbons gases also cause damage to ozone layer of earth which is protective for us by absorbing ultra violet rays of sun but damage causes these ultraviolet rays to reach direct to earth which also causes increase in temperature of earth. 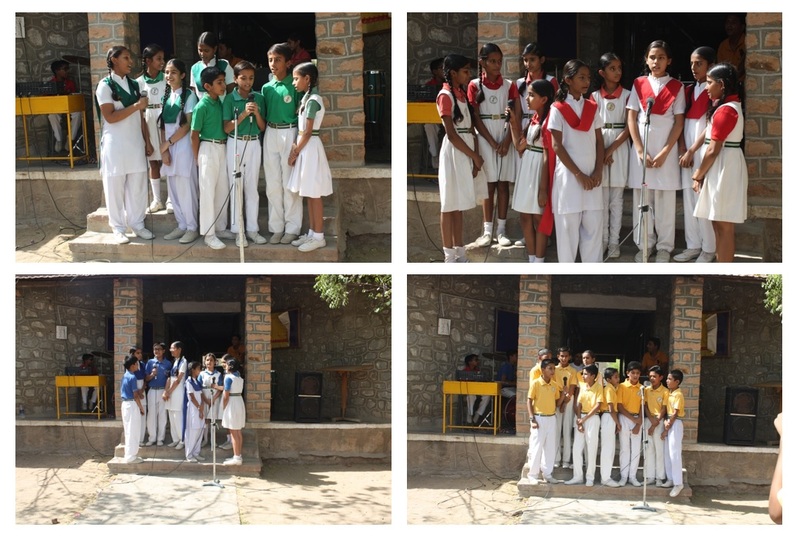 Saturday, 30th April: School observed an Activity Day. In the first hour students had their IH Group Singing Competition. They sang folk songs beautifully. Then they had lesson in Life Skills. 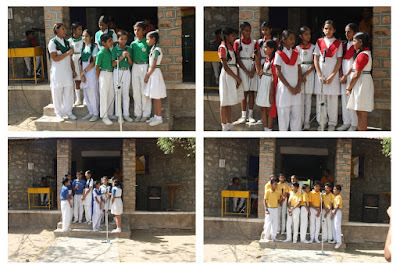 After that the classes attended Art & Craft, Music and Sports Classes. 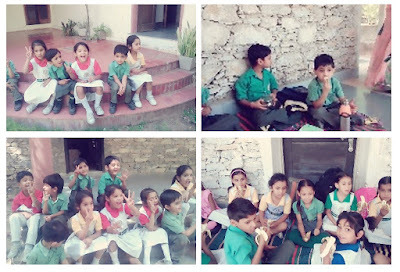 Students of Class Nursery- II went on a visit to the farmhouse. They visited the Sewari Farmhouse. 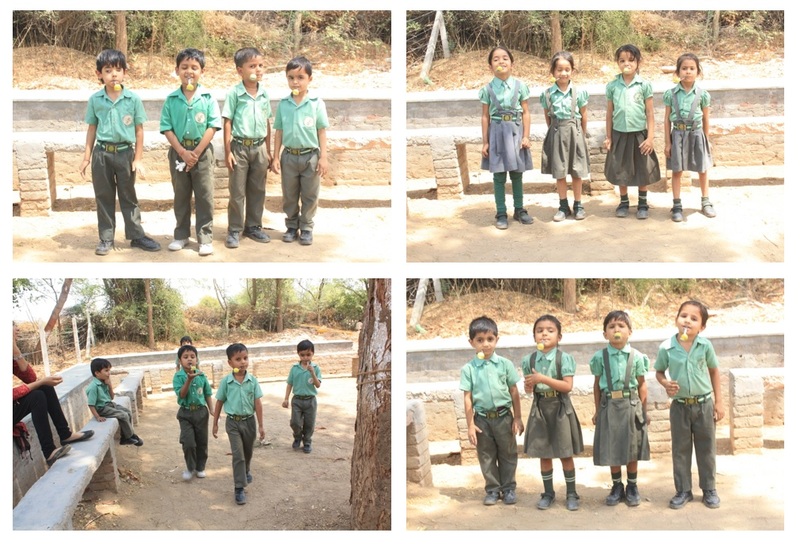 Students played many games, had snacks and roamed around on the farmhouse seeing the beauty and greenery around. They enjoyed a lot. They had fun for three hours and returned home with a lot of memories to talk about at home.